Palerra offers a Cloud Access Security Broker product called Loric that offers a combination of visibility into cloud usage, data security, user behavior analytics, and security configuration, with automated incident responses. "We think this is an important addition to our overall cloud security portfolio," Larry Ellison, Oracle's executive chairman and chief technology officer said in his keynote Sunday at the Oracle OpenWorld conference. "It [Security] is job one at Oracle. We'll keep building, and when we find a supplier out there who is doing good work, we'll buy them." The financial terms of the proposed acquisition were not disclosed. The transaction is subject to customary closing conditions, and the two companies will continue to operate independently until the completion of the deal. The Palerra leadership and team will join Oracle after the acquisition, according to the startup. Founded in 2013, Palerra is a privately held company backed by Norwest Venture Partners, Wing Venture Capital, and August Capital. “Along with the dramatic expansion of Cloud technologies in the enterprise, security for the Cloud has become a top business priority,” wrote Rohit Gupta, CEO and cofounder of Palerra in a blog post. Oracle expects to combine its own Oracle Identity Cloud Service (IDaaS) with Palerra’s CASB service, to “deliver comprehensive protection for users, applications and APIs, data, and infrastructure to secure customer adoption of cloud,” wrote Peter Barker, senior vice president of identity management and security products at Oracle, in a letter to customers and partners. The Redwood Shores, California company said it is currently reviewing Palerra’s product roadmap and will be providing guidance to customers at a later date. Oracle promised Palerra customers better integration and alignment with the software giant’s other product offerings. 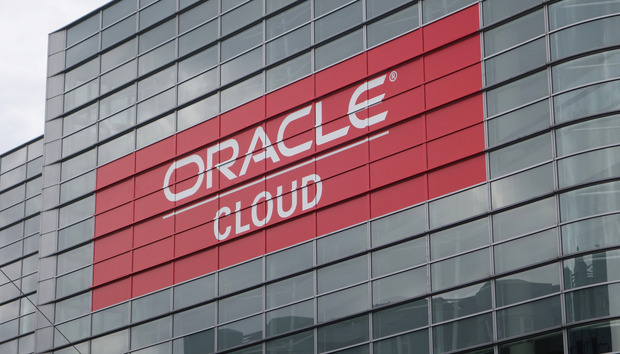 Oracle has been acquiring cloud computing companies to shore up its horizontal offerings as well as to focus on certain vertical industries such as utilities and the construction industry. In July, it said it would pay US$9.3 billion for NetSuite, a provider of cloud-based applications, such as for financial management, enterprise resource planning, e-commerce and retail management. Earlier this month, it said it would acquire LogFire, a provider of cloud-based warehouse management applications in Atlanta, Georgia, to improve the features of its supply chain management cloud offering.